Constitutional Hydrotherapy has so many general benefits though it does help with one of the most difficult areas of the body to detoxify which is the lymph or Matrix system. This is an old time Naturopathic Therapy which drains the swamp of the lymph system of toxic residues. A hot compress to the chest and abdomen brings blood, nutrients and oxygen to underlying organs including the liver. 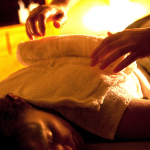 The cold compress pushes toxins out of underlying organs and drains toxic lymph from surrounding tissues. A sine wave machine is used during this therapy to gently stimulate muscle contraction and relaxation to assist with lymphatic pumping. Heat is relaxing while cold is tonifying. We also use two 8 minute cycles of the Bemer to open capillary circulation which also helps to drain toxins. All-cotton towel compresses are placed in hot water and cold water. The person undresses from the waist up and lies on their back. A hot compress is placed on the chest and abdomen from the neck down to the pubic bone and then covered with a blanket for 5 minutes. 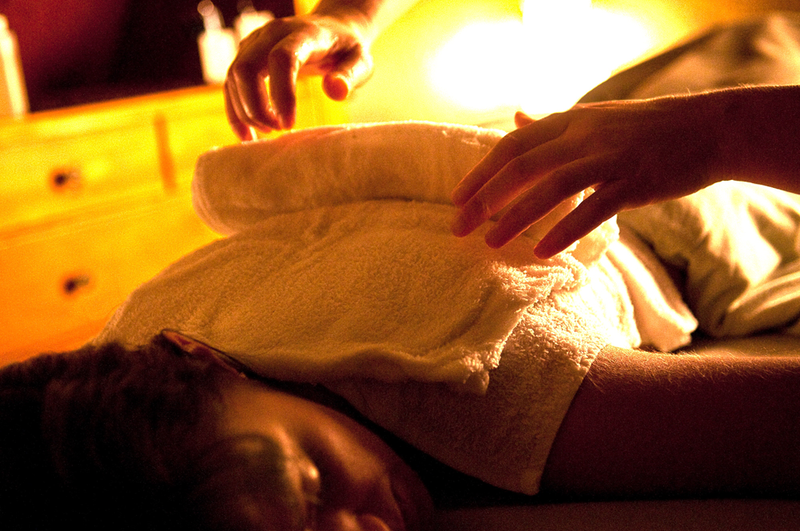 Then the hot compress is replaced by a cold compress over the same area, covered with a blanket for 10 minutes. During this time the pads of the Sine Wave machine are placed between the upper back and the table to gently stimulate muscle contraction and relaxation, thus the pumping of lymphatics. The person turns over and the second 8 minute cycle of the Bemer is started. At this time the same procedure of alternating hot and cold compresses is begun. Total time is approximately 45 minutes.